Present this coupon when exiting. Not valid with other discount. One coupon per visit. 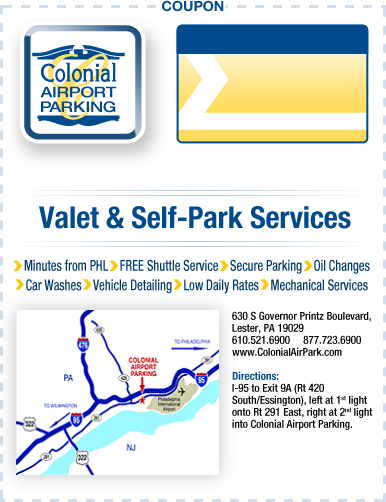 Established in 1956, Colonial Parking has over 50 years of experience in this business and we understand the needs of Philadelphia airport travelers.